Hi everyone. Our Thanksgiving holiday here in the USA is today! For the last several years, I have not “cooked” a big Thanksgiving dinner. With my daughter going to LA every year at that time and my son opting for McDonald’s so much of the time in the past, there just wasn’t a need to make a big dinner. Yes, my husband did complain. Every year. But he never offered to help with anything, either. In desperation, we tried different traditions—the “Festive Fajita Party Pack” from our nearest Mexican restaurant, which is wonderful, by the way; the “Smoked Turkey Dinner and Fixin’s” from a fantabulous barbecue place we love…but of course, it wasn’t the same. This year, my daughter will be home with us, and she wants “the dinner.” I haven’t bought my turkey—or anything else. It’s Tuesday. I’m not stressed, though. Let me tell you why. I have the money in the bank to buy those groceries. So many people don’t. If I want to make sweet potato pie, I don’t have to skimp on the marshmallows. If I want to make turkey, I don’t have to worry about one brand being ten cents cheaper than the brand I really want. And best of all, I can buy both kinds of cranberry sauce, since I’m the only one in my family who really loves the whole berry kind. So I’m very thankful for the fact that I don’t have to worry about being able to provide the menu I want to make for this holiday dinner. 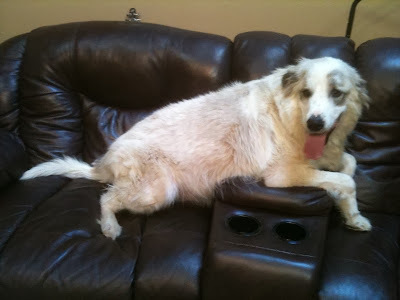 And everyone will get what they want, even Embry--who likes everything. Would you believe English peas are one of his favorites? I have learned to cook pretty darn well. It wasn’t always this way, believe me. My mother was a wonderful cook, but being a child of the 60’s I couldn’t have cared less about learning from her. 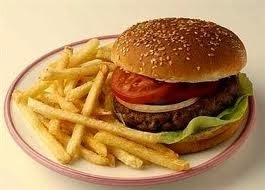 I was happy with a hamburger (which I did learn how to make for myself) and chips. I learned how to cook only after I got married—and there were quite a few trial and error “flubs” that had to be tossed. They were unsalvageable. So I’m glad that now I have learned through the years and am able to do the job right, at this point. And I'm so glad I don't have to make everything from scratch like my mom and grandmothers did! 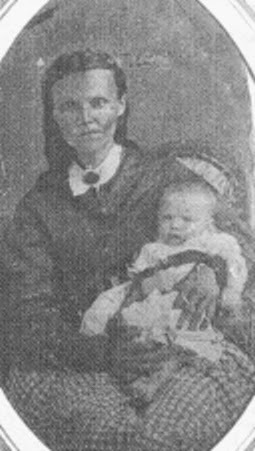 My great great grandmother on my dad's side of the family, Sarah Manery Casey. 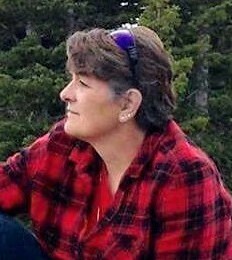 She was full blood Indian, married to an Irishman...My son, Casey, is named for that part of our family. I have fantastic memories of growing up, all of us gathered around my grandmother’s table, or wherever we could manage to find a place to perch with our plates. We spilled out onto the porch, into the living room, eating in shifts. Of course, the men ate first. It was a huge gathering—my grandmother had eleven children. I have thirty-three cousins on my mother’s side of the family. When we were done there, we’d go to my dad’s side and visit. There were only eight cousins there, but three of them were boys, and the younger two loved to play cowboys and Indians. What could be better? Another blessing to be thankful for—boy cousins who were just my age. A good time was always had by all, and that was the holiday that brought everyone home to granny’s house, even if they couldn’t come at Christmas. I had a cousin, Julie, who was a few months older than I. She was my “partner in crime”. One Thanksgiving, we spotted a package of six Milky Way candy bars in the refrigerator—our favorite. With everything going on, we managed to sneak the package out, and she hid it in her jacket. We made it out the door and into the nearby woods. This was quite a trick, since she had three younger siblings at the time. We ate those candy bars, three each. I can tell you, I was feeling sick when I ate that last bite. But we were so proud of ourselves for managing to get them out undetected and to actually be alone to commit the rest of the crime. When we got back to the house, our Aunt Joyce was beside herself. It turned out, she had bought those candy bars for a specific purpose—to make her “Mississippi Mud Slide Cake” that two of her brothers-in-law had requested. Of course, as eleven-year-old children, we’d never even thought that the candy bars might be needed for a recipe. We laugh about it now, but at the time, it was serious stuff. I thought she was going to whip us good, and Julie and I both believed our mothers would have let her! 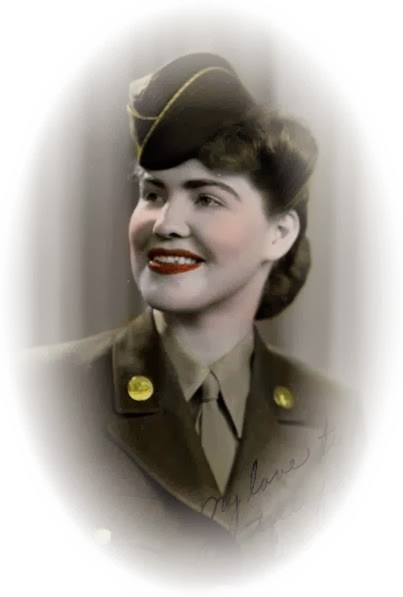 My Aunt Joyce--she was the only woman I ever knew growing up who had been in the Navy. Loved that woman, but she put the fear in us over those Milky Ways! What are you thankful for this holiday? Do you have a favorite memory to share? Let's hear it! I love family history. No, I don’t mean endless pedigree charts of names with birth and death dates. Who cares if we’re related to Queen Elizabeth or Lizzie Borden? I mean the real history part. I am the historian for my extended family. I collect all the anecdotes I can find--the interesting stories of who did what when and why, no matter how scandalous. Actually, I have to admit the scandalous tales are more interesting. I’ve published two books: one on my mom and her family and one for my mother-in-law. Now my brother and I are at work on a more industrious tome for our dad’s family. In addition to locking those tales in for perpetuity, I’ve been amazed at some of interesting things I’ve discovered. Remember how boring it was to learn dates in history classes? 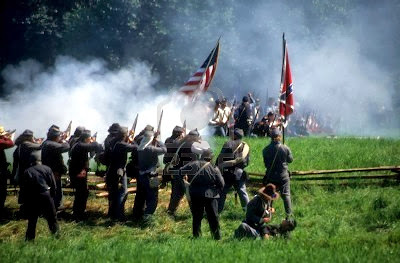 But if you learn, for instance, that your ancestors fought in the American Revolution and the details of their involvement, that part of our country’s history becomes real to you. Reading about it goes from chore to family story. I have an autograph book from 1860-1871 that covers the time a woman in my family was at an academy for young ladies, through the Civil War, to just before her death from childbed fever eleven years later. That and learning that her husband fought in the Civil War and was at Gettysburg brought that time in focus for me. I’m not saying your history changes who you are. 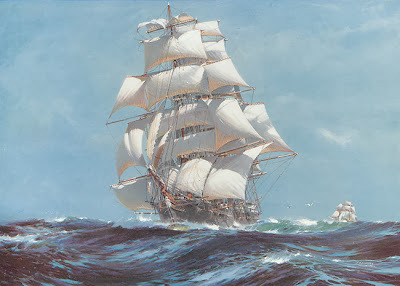 Nowadays most people don’t care if your ancestors came on the Mayflower, were here to greet them, or came on an Irish coffin ship. We’re valued by the kind of person we’ve become. Sure, being born wealthy is nice—not that I’d know—but we value people for how they manage whatever talents they’ve been born with. Here’s a challenge for you. The upcoming holidays mean family gatherings. Ask them to write as much as they know about their ancestors. Nothing formal, just start telling the stories your family passed down or those they remember. Then ask older relatives to tell you what they remember about growing up and stories their parents told. You too have stories: funny ones and sad ones and some barely believable. But who’s going to know these wonderful stories from our family’s past if we don’t record them? That’s your challenge—preserve your past while you make your today and look forward to the future. Two of my favorite things for Thanksgiving. We’ll all gather at my oldest son’s house for the turkey eating this year, and it promises to be a very fun day. There will be no black Friday shopping for us, besides the fact most of it is already done (online), I am not a fan of all the hype and stores opening early, etc. etc., dear hubby is the best man in a wedding of a wonderful friend on Saturday, so we’ll head south on Friday for the rehearsal dinner. A bit of history: Thanksgiving has been celebrated with family and friends since 1621 when the Pilgrims and a tribe of the Wampanoag hosted a three day feast after a plentiful harvest in the new world. A hundred and fifty or so years later, in 1777, George Washington declared all thirteen colonies should take place in a national day of public thanksgiving and prayer on the last Thursday in November. Then in 1863 Abraham Lincoln gave the Thanksgiving Proclamation that declared the last Thursday of November (based on Washington’s earlier declaration) a National holiday. Franklin Roosevelt changed it to the second to the last Thursday, however, after much confusion, two years later, in 1941, congress passed a law making Thanksgiving the fourth Thursday in November. I will also read Christmas stories, lots of them! I look forward to December all year for that purpose. Once in awhile, I’ll cheat and read one in July or so, but for the most part I save them to read now. I’m also very excited to share two of my stories that were written for this year. Christmas Cowboy Kisses. 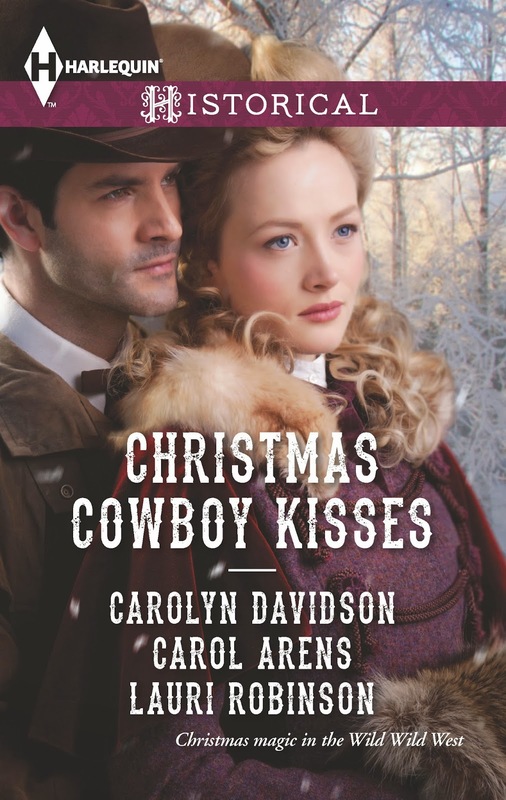 My story, Christmas with Her Cowboy, is part of this Harlequin Anthology that was released in October. 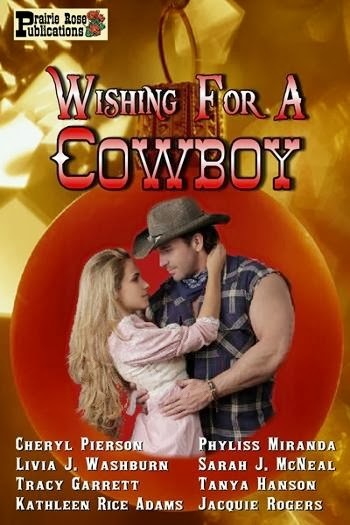 Christmas with Her Cowboy by Lauri Robinson—Ranch hand Tanner Maxwell is not pleased that Anna Hagan has returned to the Double Bar for Christmas. But the little girl he once knew is now all grown up…. A Family for Christmas by Carolyn Davidson—When a handsome widower and his young boy are stranded at Joy Watson's Missouri homestead just before Christmas, the true meaning of love and family is revealed. 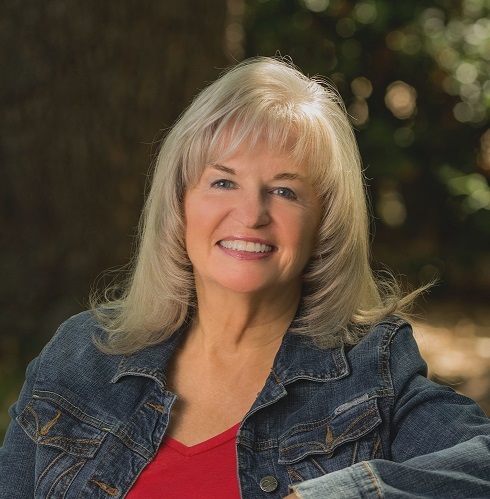 A Christmas Miracle by Carol Arens—Laira Lynne is striving to save her beloved town. New arrival Rayne Lantree is the only man with the power to make her dream come true…if he'll just believe in a little Christmas magic! 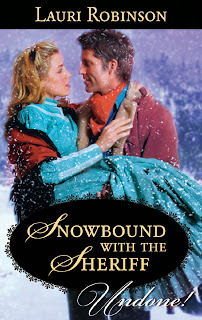 My second one is in Harlequin’s Undone line, Snowbound with Sheriff will be released December 1st. When Chayston Williams agreed to act as sheriff of Spring Valley, Montana, he never dreamed his duties would include delivering his father's pretty young mail-order bride to the family ranch in time for a Christmas wedding! Violet Ritter promised her late stepfather that she would marry the man of his choosing. 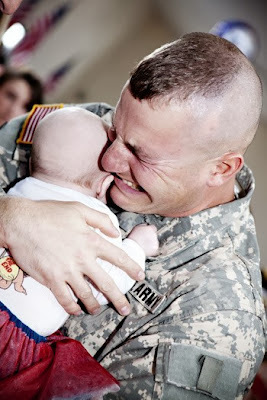 But she's shocked to discover her husband-to-be is old enough to have a grown son of his own! And she's even more surprised by her attraction to the ornery young man…. When a blizzard strands them in the sheriff's office for two days—and two nights—how will Chayston and Violet stop the fire between them from blazing out of control? In reality, moonshine (white lightning, bathtub gin, mountain dew, hooch, or Tennessee white whiskey) are terms for high-proof distilled, and often illegal, spirits. You've heard the stories, seen movies, and know about prohibition. But how much do you know of the history? The word "moonshine" probably came from the term "moonrakers" used for early English smugglers and the clandestine (i.e., by the light of the moon) nature of the operations of illegal Appalachian distillers who produced and distributed whiskey. Poorly produced moonshine was often contaminated, mainly from materials used in construction of the still which employed used vehicle radiators as condensers. In some cases, glycol, from antifreeze, were included as well. These radiators also sometimes contained lead at the connections to the plumbing. We all know glycol and lead are poisonous and potentially deadly. Although methanol is not produced in toxic amounts by fermentation of sugars from grain starches, contamination is still possible if unscrupulous distillers used cheap methanol to increase the apparent strength of the product. All sorts of additives were used to give more "pow" to the product, or to stretch it out so that it provided more volume. Gun powder, tobacco and hot peppers were popular additives. Mountain men and, later, whiskey runners, often did this to the liquor they sold or traded to Indians. Moonshine can be made both more palatable and less damaging by discarding the "foreshot"—the first few ounces of alcohol that drip from the condenser. The foreshot contains most of the methanol, if any, from the mash because methanol vaporizes at a lower temperature than ethanol. The foreshot also typically contains small amounts of other undesirable compounds such as acetone and various aldehydes. Former West Virginia moonshiner explaining the workings of a still. Alcohol concentrations above about 50% (100 proof) are flammable and dangerous to handle, especially during the distilling process when vaporized alcohol may accumulate in the air to dangerous concentrations if adequate ventilation has not been provided. A quick estimate of the alcoholic strength, or proof, of the distillate (the ratio of alcohol to water) is often achieved by shaking a clear container of the distillate. Large bubbles with a short duration indicate a higher alcohol content, while smaller bubbles that disappear more slowly indicate the increasing presence of water. A common folk test for the quality of moonshine was to pour a small quantity of it into a spoon and set it on fire. The theory was that a safe distillate burns with a blue flame, but a tainted distillate burns with a yellow flame. Practitioners of this simple test also held that if a radiator coil had been used as a condenser, then there would be lead in the distillate, which would give a reddish flame. This led to the mnemonic, "Lead burns red and makes you dead." Although the flame test will show the presence of lead and fusel oils, it will not reveal the presence of methanol (also poisonous), which burns with an invisible flame. Throughout the nineteenth century, alcohol saw a high popularity, not only with men, but also with women and even children, through the use of tonics and other medicines that contained alcohol. I haven't seen any statistics on the percentage of the population who were alcoholics at that time, but it would be surprisingly high. In my book, Taming Jenna, just released this month, the heroine's father was saved from alcoholism by the hero. 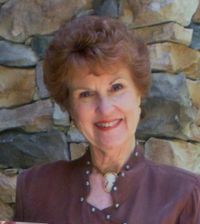 Charlene Raddon is the award-winning author of five historical romance novels set in the American West. Four of these are now available as e-books. A fifth, Taming Jenna, will be released in November. 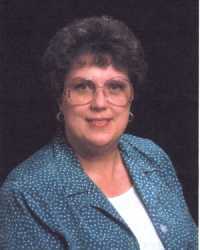 Charlene’s paperbacks can be found through used book stores. 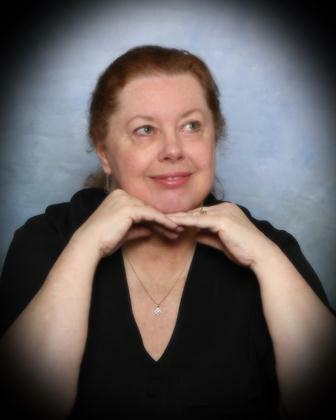 Her e-books are available at Amazon, B&N, Smashwords and other e-book stores. My dad was born on a farm just outside Denison, Texas in 1916. Third to the youngest of thirteen children, he left home at the age of 17, “hitting the road” during the Great Depression. He traveled all over the western U.S., eventually settling in San Francisco, where he met my mother, a Minnesota farm girl who had come west during WWII in search of work and a bit of adventure. Daddy never lived in Denison again, but he was always proud of coming from the town where President Dwight Eisenhower was born in 1890. The President’s home has been restored and is now the centerpiece of the Eisenhower Birthplace State Historic Site, which includes a museum. Denison was founded in 1872 to serve as a depot for the Missouri–Kansas–Texas Railroad (MKT) or "Katy" as it’s affectionately known. The town was named after MKT vice president George Denison. The first train arrived on Christmas Eve, 1872. Denison was incorporated the following summer. Main Street boasted a neat row of businesses, but beyond that sprawled a tent city of bars, gambling halls, and brothels. However, because the town was laid out where the MKT crossed the Red River (both important transportation routes), it soon grew into a thriving center of commerce in the Old West. In 1875 John Henry "Doc" Holliday kept offices in Denison. By the end of the 1870s the town had two cotton compresses, a large flour mill, and a slaughterhouse. In the 1880s an opera house was built, and the Denison Herald began publication. During the mid-19th century, an epidemic of phylloxera, small insects that feed on the roots and leaves of grapevines, destroyed most European vines. Denison horticulturalist T.V. Munson pioneered ways to grow phylloxera resistant vines, for which he was inducted into the French Legion of Honor. Denison was named sister city to Cognac, France. On February 6, 1873, Denison established the first free public school in Texas. In 1886 a post office opened, and in 1889 the town had 5,000 residents. In addition to the MKT, several additional rail lines connected to Denison. In 1901 the first electric "Interurban" railway in Texas was completed between Denison and Sherman, Texas. Sherman is situated seven miles south of Denison in northeastern Grayson County. By the mid-1920s Denison had just over 17,000 residents and 400 businesses, including four banks. It also hosted two high schools, nine grade schools, and a number of churches. My grandparents moved into town after losing their farm during the Depression, and my great grandmother, who lived with them, died at their home in 1939 at the age of 91. So, you see, I have deep roots in this small Red River railroad town that broke ground in several arenas. I mention Denison in Dearest Irish, Texas Devlins, Book III. Here’s a snippet from the story, set in 1876. Rose stretched and yawned. Something hard supported her head, and another something lay half across her face. This object felt like cloth and gave off a vaguely familiar scent. Swatting whatever it was away, she opened her eyes and had to squint at the bright sun glaring down at her from on high. In the time it took to blink and shield her eyes with her hand, everything that had befallen her during the night burst upon her like a waking nightmare. Realizing she lay on the hard ground – she had the aches and pains to prove it – she turned her head to the right and saw Choctaw Jack lying a hand’s breadth away. He lay on his back, head pillowed on his saddle and one arm thrown over his eyes. Where was his hat, she wondered absurdly. Recalling the object she’d pushed off her face, she rose on one elbow and twisted to look behind her. First, she saw that she’d also been sleeping with a saddle under her head; then she spotted the hat she’d knocked into the high grass surrounding them. Jack must have placed it over her face to protect her from the sun’s burning rays. In view of his threat to beat her if she tried to run away again, she was surprised by this small kindness. A throaty snore sounded from her left. Looking in that direction, she saw Jack’s Indian friend sprawled on his stomach, with his face turned away from her. He was naked from the waist up, his lower half covered by hide leggings and what she guessed was a breechcloth, never having seen one before. His long black hair lay in disarray over his dark copper shoulders. He snored again, louder this time. Rose’s lips twitched; then she scolded herself for finding anything remotely amusing in her situation. Glancing around, she wondered how far they were from the Double C. Jack had been right to chide her last night. She’d had no idea where they were or in which direction to run for help. Even more true now, she conceded with a disheartened sigh. She heard a horse snuffle. Sitting upright, she craned her neck to see over the grass and spotted three horses tethered among a stand of nearby trees. She caught her breath. Was one of them Brownie? Aye, she was certain of it. Excited and anxious to greet him, she folded aside the blanket cocooning her and started to rise, but a sharp tug on her ankle made her fall back with an astonished gasp. Only then did she notice the rope tied loosely around her ankle. To her dismay, the other end of the rope was wrapped around Jack’s hand. “Going somewhere?” he asked, startling her. 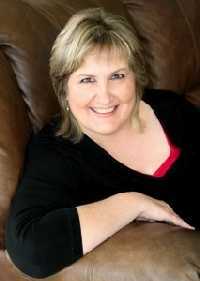 Sarah J. McNeal, multipublished author of western, time travel, paranormal, historical and contemporary stories. 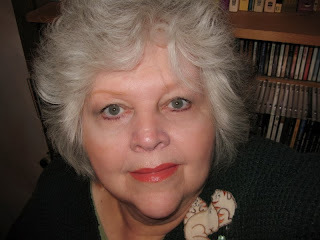 Here at the eleventh hour, I’ve been trying to come up with something about Thanksgiving for my blog. I started doing some research and became curious about how the Native Americans celebrate Thanksgiving. Considering that the European pilgrims were the beginning of the end of most Native American peoples, I wondered if they resented the celebration of Thanksgiving since it is, in large part, the celebration of the survival of those pilgrims the American Indians pulled out of the pot and saved and who, later on, took advantage of the American Indians and practically extinguished them from the Earth. Well, I learned some very surprising things in my research. Amazingly, in 1614, Squanto (aka, Tisquantum), a Patuxet (one of the 50 tribes that make up the Wampanoag Confederacy) in New England, was kidnapped when he was about 30 and taken across the Atlantic to Malaga, Spain where he was sold into slavery. Spanish monks bought him and made it possible for him to find his way to England in 1615 where he became a ship builder for John Slany and learned English. He joined an expedition and returned to his homeland in New England 1619. When he returned to the village where he was raised, his family and entire tribe had been exterminated by a plague. 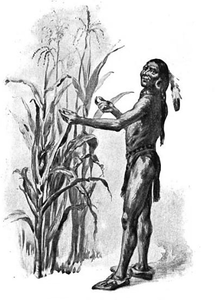 Imagine the great spirit of this man when he was introduced to the Pilgrims took pity on them, showed them how to grow potatoes, tomatoes and corn and showed them how to survive the devastation of winter. I don’t know about the rest of y’all, but I was awestruck by the generosity of this man. The concept of that first Thanksgiving was not introduced by the Pilgrims, but by the New England tribes who celebrated the fall harvest. It was the Native Americans who brought the food to the Pilgrims. They were not just there as guests for some legendary invititation from the Pilgrims. In the end they paid a terrible price for their generosity. Squanto died in 1622. Shortly after his death, the Colonial authorities found reason to massacre most of the men, women and children from the Pequot tribe (another tribe in the Wampanoag Confederacy). They enslaved most of the women and children that survived and sent them to the West Indies. As of 1975, only 21 Pequot live around the Mystic River in Connecticut. 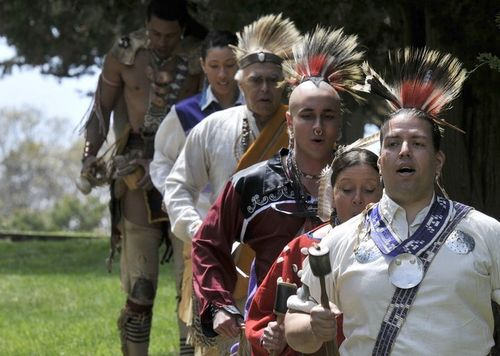 Modern day Wampanoag do not celebrate Thanksgiving with feasting and merriment. Since 1970, they celebrate it with fasting and mourning. Can you blame them? The Dakota have a belief that a person who is evil has a secret heart that he keeps hidden, sort of like a hidden agenda, and the hero must find the secret place and destroy it. For the Dakota, the Pilgrims had a secret heart of bigotry, hatred, greed and self-righteousness. The modern day Dakota do celebrate Thanksgiving, but for a different reason. They celebrate the fact that they are survivors of the onslaught by Europeans that killed between 10-30 million Native Americans. And, should we forget, this feast day was always a celebration of harvest by the native peoples of America. I’ll still celebrate Thanksgiving with my family with gratitude about the blessings I’ve received in my life, but I’ll do it with a different understanding of our Native Americans and why some of them will be celebrating Thanksgiving in other ways and for different reasons. Honestly, I never gave thought to how Thanksgiving might be perceived by American Indians until now. While I give thanks, I will also think about Squanto and the generous heart he had for ALL people. I hope I can be just a little like him in spirit. Fort Griffin and "The Flats"